Abby Wambach has always pushed the limits of what is possible. Named by Time magazine as one of the most influential people of 2015, the iconic soccer player captured the nation's heart when she led her team to its recent World Cup championship. Admired for her fearlessness and passion, Abby is a vocal advocate for women's rights and equal opportunity, pushing to translate the success of her team to the real world. Hope Solo is the face of the modern female athlete. She is fearless, outspoken, and the best in the world at what she does: protecting the goal of the U.S. women's soccer team. Her outsized talent has led her to the pinnacle of her sport - the Olympics and the World Cup - and made her into an international celebrity who is just as likely to appear on ABC's Dancing with the Stars as she is on the covers of Sports Illustrated, ESPN The Magazine, and Vogue. Amazon's top two soccer-coaching books have been combined to create one amazing audiobook! 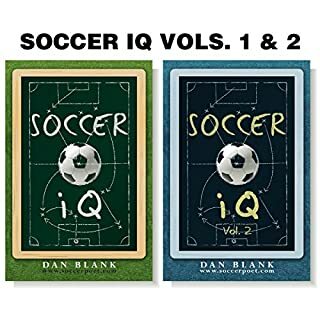 Soccer iQ Vol. 1 is an Amazon best seller and an NSCAA Soccer Journal Top 5 Book of the Year! 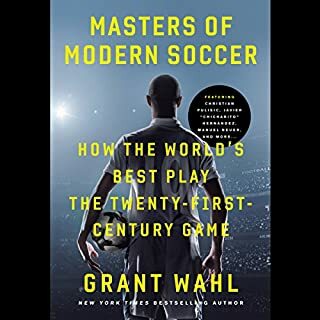 Football.com rated these books number one and number two in its list of the Top 14 Soccer Books for Players and Coaches! 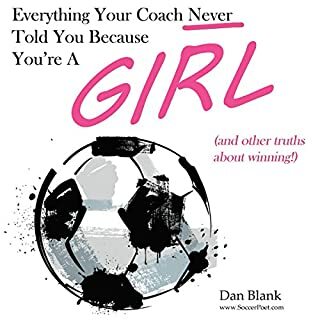 Written by Dan Blank, Everything Your Coach Never Told You Because You’re a Girl is one of the most inspirational stories ever written for the female athlete. Coaches and teams of all sports – from soccer to golf to equestrian – have embraced this book as the foundation for a new brand of female competitor. 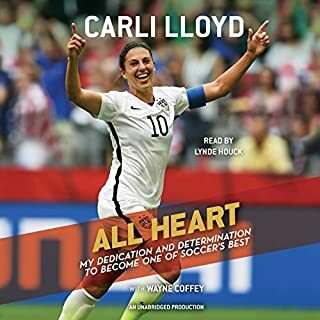 In All Heart, adapted from When Nobody Was Watching specifically for younger listeners, Carli tells the full inspiring story of her journey to the top of the soccer world - an honest, action-packed account that takes listeners inside the mind of a hardworking athlete. In Masters of Modern Soccer, Sports Illustrated writer Grant Wahl asks: How do some of the game's smartest figures master the craft of soccer? By profiling players in every key position (American phenomenon Christian Pulisic, Mexican superstar Javier "Chicharito" Hernández, Belgium's Vincent Kompany, Spain's Xabi Alonso, Germany's Manuel Neuer) and management (Belgium coach Roberto Martínez and Borussia Dortmund sporting director Michael Zorc), Wahl reveals how elite players and coaches strategize on and off the field and execute in high pressure game situations. Total story. Total football. Total Pep. Inverting the Pyramid is a pioneering soccer book that chronicles the evolution of soccer tactics and the lives of the itinerant coaching geniuses who have spread their distinctive styles across the globe. Through Jonathan Wilson's brilliant historical detective work, we learn how the South Americans shrugged off the British colonial order to add their own finesse to the game; how the Europeans harnessed individual technique and built it into a team structure; how the game once featured five forwards up front, while now a lone striker is not uncommon. Soccer. Football. The beautiful game. The world’s most popular sport goes by many names, but for decades, fans have agreed on one thing: the greatest player of all time was Pelé. Now the legendary star, ambassador, and humanitarian shares a global vision for what soccer can accomplish. Now he shares his story, his experience, and his insights on the game for the very first time. Before Messi, before Ronaldo, before Beckham, there was Edson Arantes do Nascimento - known simply as Pelé. Ruud Gullit knows better than anyone else that to understand soccer you have to understand strategy. When he started playing soccer, his only "strategy" was to get the ball, outrun everyone else to the other end of the field, and score. At first it served him well, but as he advanced through the sport, he learned that it takes much more than speed to make a winning team. Candy for any leader who also loves football. 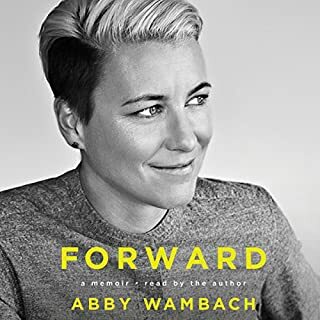 From the celebrated star of the US Women's National Soccer Team, an inspiring, uplifting, and candid memoir of how she got there. In 2015, the US Women's National Soccer Team won its first FIFA championship in 16 years, culminating in an epic final game that electrified soccer fans around the world. It featured a gutsy, brilliant performance by team captain and midfielder Carli Lloyd, who made history that day, scoring a hat trick - three goals in one game - during the first 16 minutes. 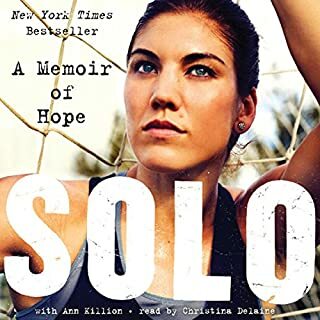 This candid reflection on a remarkable turnaround will take listeners inside the women's national team and inside the head of an athlete who willed herself to perform at the highest levels of competition. Should've just read the book. I enjoyed the story but the narrator was AWFUL. Literally sounded like Siri was reading it in semi monotone. Completely ruined it. I don't know much about soccer, but after finishing this book, I want to learn all that I can. I love her commitment to hard work and dedication. Great story! Carli wrote a very open story about her life: her flaws, her hard work, her triumphs on and off the field. We learn how hard Carli worked to become the best player in the world. Unfortunately, the narrator has not put in the same effort. She reads with a strange rhythm, puts emphasis on parts of a sentence that have no need for it, and is extremely choppy. Still, don’t let the narration keep you from the story. I’ve been a coach for 20 years, and I am inspired anew by Carli and her trainer. 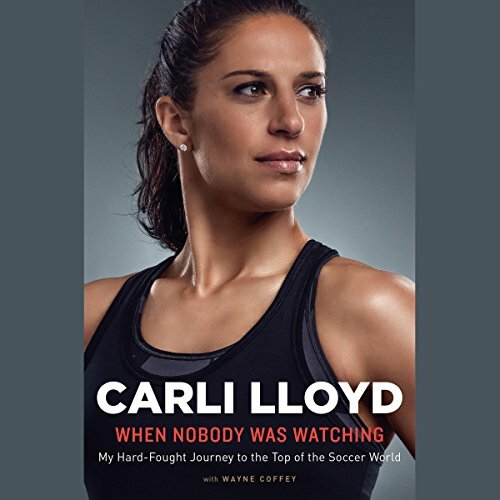 It is a fantastic story of inspiration, and if I ever have a daughter that grows up to be the kind of person Carli is, I would be a very proud father. Love Carli Lloyd. Really interesting and honest portrayal of her mindset. Narrator has no character. I loved it! a whole new perspective of the work and dedication of a soccer player! If you love soccer you will love this book! I absolutely love Carli Lloyd and have followed her career along with others in the team. She does a really nice job of sharing her point of view without bashing on other players and blaming them for problems. She is such a great person who has such a drive and determination. I loved hearing all of her story and really feel this is a good motivational book for sure. A must read!!!! I did not enjoy the narrator as much as I would like. Several names of players and a tournament are mispronounced several times which bothered me the whole book! Also, the tone of the book is a bit monotone and it took ALOT for me to get through. It did sound better when I sped it up a little. I would have just like more emotion and emphasis on the words. First of The narrator is not Carli, and her voice is horrible. The story is good. Some parts of it are a bit boring. Carli does provide some insight into her long hard battle to the top. Carli proves that hard work perseverance and determination can help you achieve any goal. Great insight into the mind and drive of one of the best female soccer players of our time. She is honest and ruthless throughout and it is easy to see the emotion of her journey! Worth a listen! I like the behind-the-scenes stories and the work that it takes to become a World Cup champion. Great story and it's interesting to see how Carli utilizes the advise of coaches and teammates to formulate a winning approach to soccer.